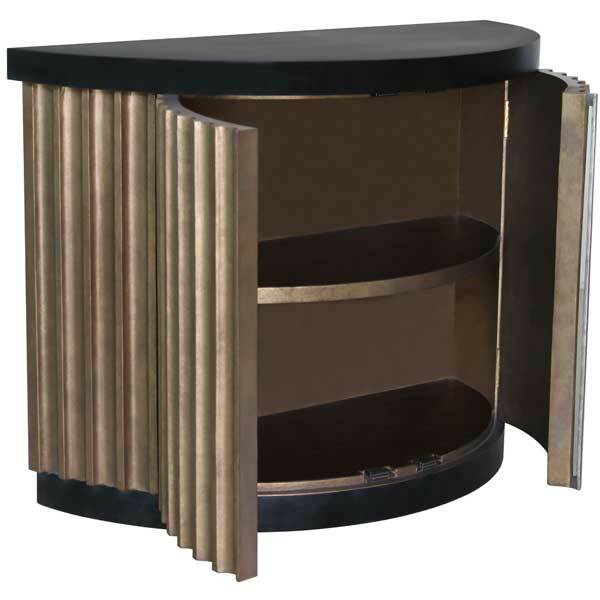 Fluted Half-Round Cabinet. Custom furniture. High end furniture. Hand carved furniture. 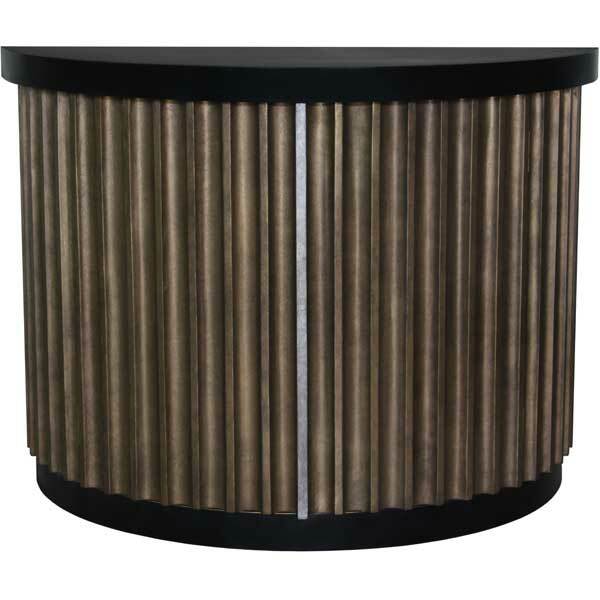 The Fluted Half-Round Cabinet design was inspired by ancient Greek and Roman fluted columns. The Greeks probably started carving flutes in their columns because their earliest columns were made out of wooden tree trunks, and when the builders shaved the bark off the trunks it left these vertical gouges. When they began to build stone temples, they copied the gouges from the wood because it made the columns look skinnier and taller and more elegant. Fluting the columns, one flute after another, also gave the columns and the whole building a feeling of rhythm, which architects working in ancient Greece thought was an important aspect of a temple. Even though the Fluted Half-Round Cabinet was inspired by columns of ancient Greek and Roman temples, it fits perfectly in contemporary settings. This exquisitely detailed cabinet is offered in a variety of finishes and accents. It makes an exceptional accent piece in any room. Designed by Shah Gilani, ASFD. Custom sizing is available.